No e-commerce platform is perfect – they each have their pros and cons. When comparing platforms, a common problem is flexibility vs simplicity. The most flexible, customisable platforms are, by necessity, the most complex. And the more complex the platform, the more likely you’ll hit both usability difficulties and technical problems. In the modern age, and in most other platforms the ability to add related items is as native as the Name, Price and image of a product. 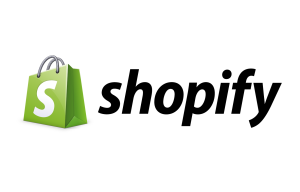 With Shopify, there is no “Out Of the Box” solution for related items. If you’re selling only branded water bottles, this is a non-issue for you, but if you’re selling picture frames you could be making a lot more money per visitor if they would see the hanging kit that you also sell on the same product page. Shopify does offer a solution in their documentation to use product tags, once more it’s a cheap fix as tags are essentially meant to help customers find your product through your storefront search. Another option is to use the meta fields route described above, but you will have the same issues of not having any record or control over that data. If you’re selling branded water bottles as we mentioned above, you want your customers to be able to filter all your bottles and quickly reach the item they’re looking for. For example, they would want to filter bottles by size, colour or theme. Filtering is a basic function of e-commerce, yet it isn’t Shopify native. Think of the last time you made a purchase online, did you use filters to find the product you were looking for? Of course, you did. We’re used to this by now, but the solution that exists is to create collections and assign products to multiple collections and sub-collections. The only way to do this is by including it in the product description, that is often not intuitive, and not acceptable if you want a page layout that has different areas of information. What you can do is use meta fields, and if you have long term plans for your website you should consider this before using meta fields. What are your biggest issues you’ve encountered with Shopify and how did you work around them? We would love to hear from you! This entry was posted in E-commerce, Shopify. Bookmark the permalink.